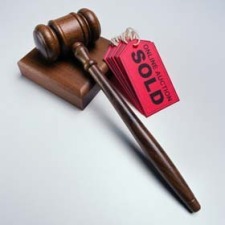 Fall Used Gaming Auction Silent Bidding Opens! This weekend is the Used Gaming Auction and once again we've got a whole week of Silent Bidding and perusing the Auction Gallery for you this time around. Over on the right hand side you'll see "Auction Gallery" where you can see all the items in the auction this coming weeknd at Saint Charles. Also, you'll find the "Auction Silent Bids" tab where you can place silent bids in the lead up to the auction. from now until Friday, September 26th at 11:59pm you'll be able to place silent bids on the items in the auction. Be sure to include the "A" or "(2)"
Check out this awesome stuff at the used game auction this weekend! Saturday at noon, Games Workshop. Sunday board games, card games, and other miniature games. The time has come again! That's right it's time for another Used Gaming Auction! We'll start taking material on Thursday, May 17th and cease taking material on Tuesday, May 22nd. 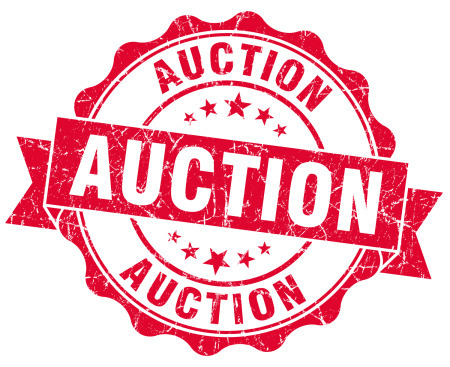 As always the Auctions will be held at the Saint Charles Store in their gaming area and silent bidding will open on Friday May 25th. After the success of our last auction we decided that perhaps it was best to give us all a little time to recharge and to let the holidays get past us before we kicked off another of our perennial chances for you to clean out your shelves of material that you have finally realized that you'll never play or perhaps you just want a chance to get some store credit for that new game you've been eying. With all the new material either already on the shelf or coming up soon it's certainly time to start thinking about getting rid of some of the old for the new. But then again perhaps you love the old ... well then our auctions are still for you. Come in and enjoy the treasures that others have decided are trash (or at least aren't their cup of tea any longer). Still looking to fill in some of the holes from your 3rd Edition D&D library? Perhaps now is the time to get your hands on a well loved copy of the book you've been looking for all along. Then again maybe you've decided it's time to go ahead and get that second Warhammer Fantasy Army you've been wanting (I know Scott B. from Saint Charles is going to be looking for some Dwarves in the auction, perhaps you have the Dwarves he's looking for! ), or maybe you've finally decided that getting rid of all those Magic The Gathering Cards that have been cluttering up your closet is a good idea ... Well then get thee to a Fantasy Shop my friend! From Thursday the 14th til Tuesday the 19th we will be taking all comers and considering all items (though please do make them related to the material that we carry as we will auction most anything you bring in as far as gaming goes but you're likely to get a better result from RPG's, Board Games, Card Games, and Miniatures Games than you will most anything else). So make sure to put it on your calendar ... or go to our Events Calendar and add all the Fantasy Shop Events to your Google Calendar by clicking the Google Calendar button at the bottom of the page!